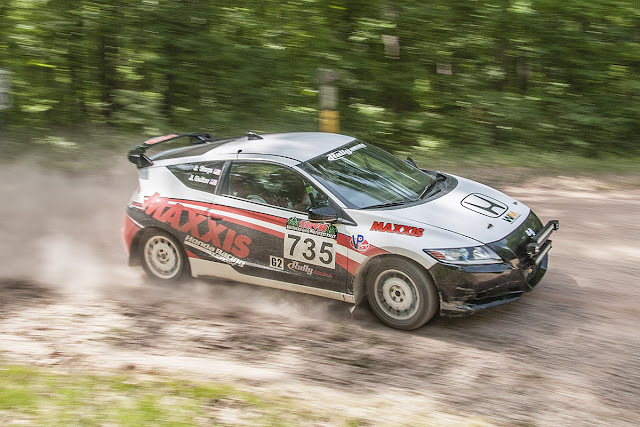 Maxxis / HPD Have a Strong, Two-Podium Finish at Inaugural Southern Ohio Forests Rally! 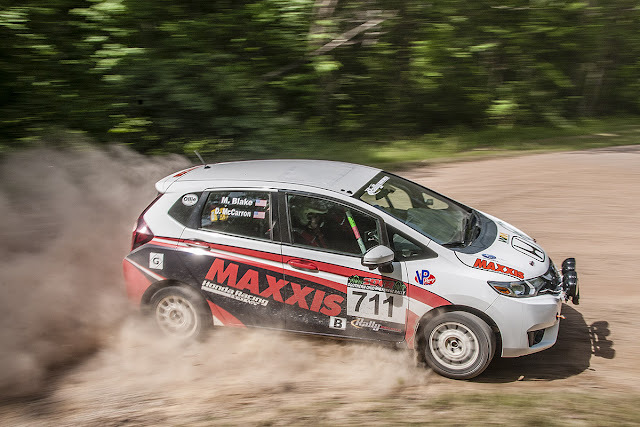 Maxxis renewed its partnership with Honda Performance Development to continue campaigning the 2015 B-Spec Fit developed specifically for Rally competition at the Southern Ohio Forests Rally (SOFR), the fifth and sixth rounds of the 2017 Rally America National Championship. 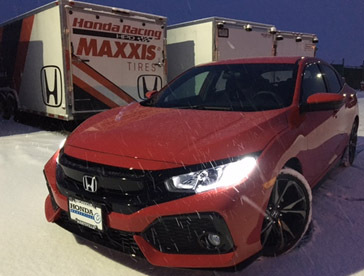 In addition, the veteran Honda rally team would finally be debuting the 2017 Honda Civic Sport hatchback in overall two-wheel drive (2WD) competition. Over the past several years, the Maxxis/HPD Rally Team had already built up an impressive four National Championships in B-Spec, as well as some strong finishes in the 2WD Category. Leading into 2017 season, the Ohio-based Rally team has begun plans to expand into outright competition in the highly competitive 2WD category. The overall plan has been to build a Type R-powered Civic and to work on getting its speed up to a level where the Maxxis team could complete with the fully prepared Ford Fiesta rally cars; however, this plan became delayed due to the unavailability of certain key powertrain parts. 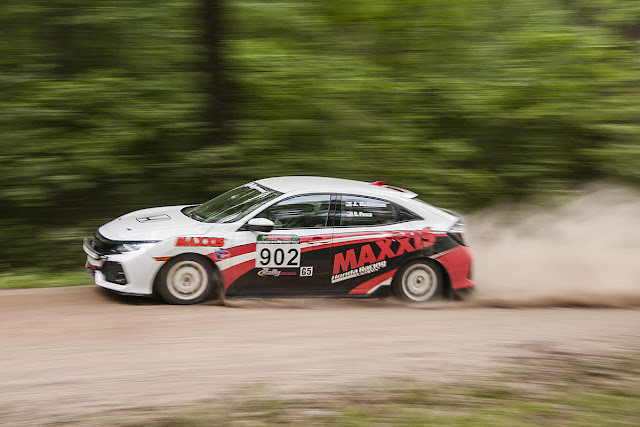 The Southern Ohio Rally is set in the middle of the picturesque forests of southern Ohio, making it a beautiful and challenging round in the National Championship. The smooth, fast, yet technical roads for the SOFR take advantage of the unique hilly terrain in Ohio. They challenge 2WD competitors to find the best way to keep the cars moving quickly, despite the dangerous and tight nature of the corners. 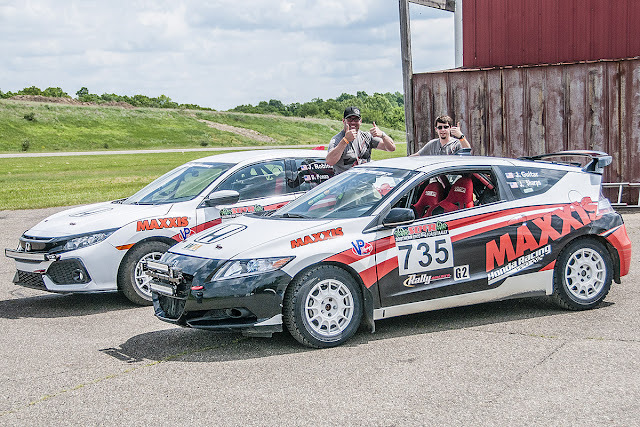 In addition to the B-Spec Fit and the new Civic, the Maxxis CR-Z returned in the hands of 2016 B-Spec National Champion Jordan Guitar. Quickly coming to terms with the new platform, Guitar and teammate John Sharps were setting competitive times in the 2WD class. By the end of Day 1, the Maxxis team had all three team cars running strong. 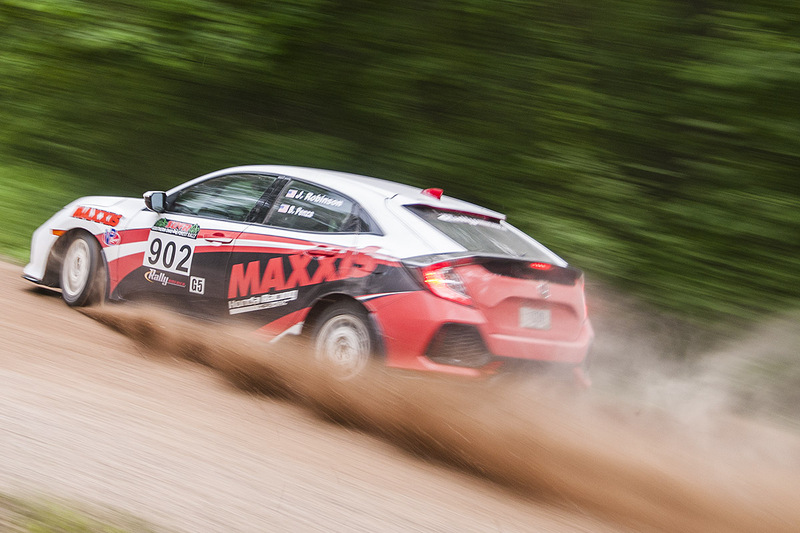 “We definitely slowed a bit during the night stages,” Robinson stated at the end of Stage 15. “We’re feeling pretty confident about the Civic, though, and we’ll be ready to push again tomorrow,” he stated. The new team of Jordan Guitar and John Sharps were keeping the CR-Z quick and consistent all day, as well. “We’re really starting to get the hang of this car, and we’re going to ramp the pressure up!” said Guitar at the second service on Day 2. Look for the THR B-Spec Fit, CR-Z and the new THR Rally Civic throughout the 2017 Rally America Series.